Fat Quarter Shop's Jolly Jabber: Blog Tour: Scrap Republic + Giveaway! Blog Tour: Scrap Republic + Giveaway! Please feast your eyes on this beautiful quilt! See, the thing about scraps is sometimes it's hard to see the full print, but would you get a load of that color?! Talk about a treat for the eyes! Personally, I can't get enough color! 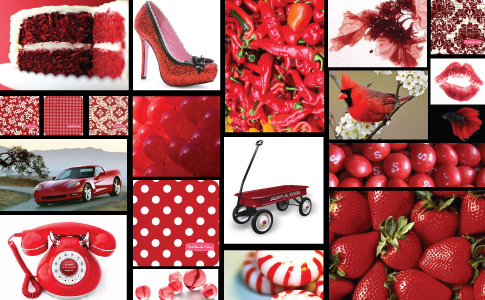 Today, day 3 of the blog tour, we're falling in love with the color red. Have you ever noticed all the amazing things that are red? Whether you are in love with color or maybe just dying to deplete your scrap stash a little bit, check out this book, Scrap Republic! I'm sure there's a perfect scrap pattern just for you! And if you need some motivation, check out these five great giveaway gifts that you could win! All you have to do for a chance to win is leave a comment on this blog post telling me what color you are really digging right now and why! The giveaway will close one week from the date of this post.